Oversees sustainability performance reporting using STARS. Identifies practices to embed sustainability in planning, decision-making and other aspects of governance. Provides support for the Sustainability Revolving Fund. The Office of Sustainability is a group of dedicated individuals who strive to bring about positive change not only at our university, but throughout our community. Please do not hesitate to contact us, as sharing knowledge through open communication allows our community to work together more effectively. 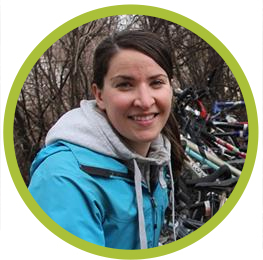 Erin works to integrate sustainability into all aspects of university operations by facilitating changes to day-to-day activities, planning, and decision-making across campus. She works directly with various work units to review existing practices and facilitate positive change. She supports the Sustainability Revolving Fund and the Work Green program. 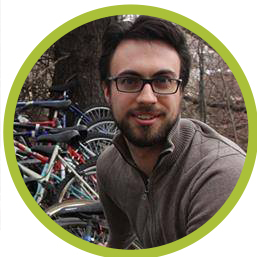 Matt works with staff, faculty, and students to facilitate the development of a strong culture of sustainability that is visible throughout campus. 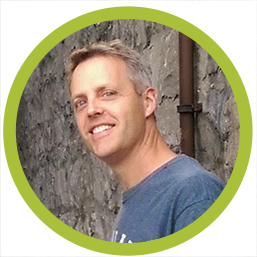 By supporting and carrying out the Campus Sustainability Plan's Community Engagment objectives, he helps to achieve the Plan's goal of having all members of the campus community intentionally choosing and initiating sustainable behaviour in all areas of campus life. 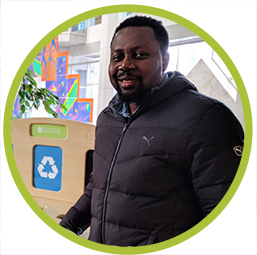 Odili (or just Obi) is in charge of managing Facilities Management's single-stream recycling program and works closely with the Office of Sustainability. His position includes both operational and managerial components and ensures that recycling on campus stays accessible and effective. Kevin develops initiatives and implements strategies to conserve energy and reduce the university’s greenhouse gas emissions. He works towards enhancing practices on campus as they relate to energy management in such areas as facilities, campus utilities, solid waste, water, transportation, infrastructure, and equipment. The Energy and Emissions Officer also oversees the Climate Action Plan and other related initiatives that strive towards achieving sustainable energy consumption on campus. The Office of Sustainability believes that students play a critical part in sustainability. As such, it offers a number of student intern positions every year. Student positions range from assisting with operations projects to conserve energy and water to engagement activities such as planning sustainability-related events and campaigns on campus.